Oh one thing I would like to flaunt is that my baby, Richard... he is 19 and a bit big to be considered a baby.. anyway today he is graduating with first class honours in Advanced Maths and next Wednesday he leaves Australia to go to Harvard University where he has won a Knox Fellowship (like the Rhodes Scholarship) to do his Doctorate in Public Health.. and I am as proud as anything of him! Some of you will remember a few months ago I sold many quilting books which a friend of mine was clearing out. Well she has had to do more clearing out, disadvantage of moving from a six bedroom house to a two bedroom villa. I have photographed many of her patterns and things and uploaded them onto flickr. If you want any more information about any item simply email me at opposite.like.conscious79@gmail.com and I will tell you what I can.... mind you I will be out for most of Friday so please excuse the delay in responding but as usual it will be on a first come basis. Please tell me what the photo number is in your email if possible. Click on the links below and hopefully you will find something you like. kits- these include pattern and fabric for the front at least, some also include threads, backing, buttons etc. The prices are between a quarter and half of the original price and include top quality fabrics. 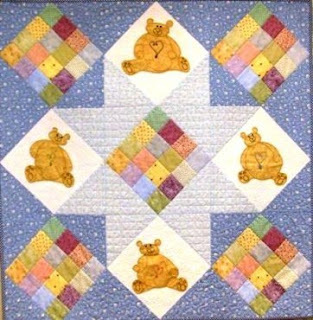 Most of her kits were purchased from Mittagong Patchwork. $5 items - most of these are patternsbut there are also some panels and stitcheries in there. $10 - some books here and some kits. I will upload a few more books here over the weekend as a few of the photos were quite blurred when I first took them. I also have some other items like the stuff in the photo above which I haven't yet listed as I still have to find a price but all will be uploaded soon. Postage is $2 per pattern for one or two patterns $5.60 for three or more patterns up to 500g... this should be about five but I will check and it depends on which patterns. Books are the same. Kits are generally $5.60 but I will confirm this for you. Thanks for looking and I hope you find something you like. Well have finished another block in my Winter Secrets quilt. This is the sixth in the series which when finished will hopefully look good together as a quilt top. I have really enjoyed making these blocks and actually using some of my many embroidery threads. As there are 56 separate hexagons in the design I have attempted to use 56 different colours.. what is the point in having lots of colours if you never get to use them all? 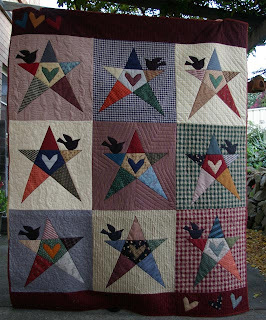 Although I finished piecing this quilt quite a while ago... like about two years. It is only lately that I have actually knuckled down and completed the quilting. Machine quilting is not my forte. Hey I could even go so far as to say I am terrible at it. 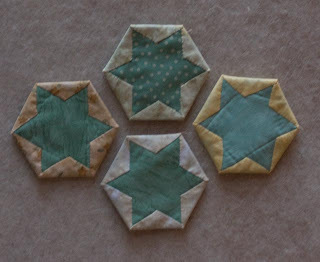 Now this photo does not show my latest efforts at quilting but I have managed to free motion all of the separate blocks and now this is what I have achieved this week.... added a label to it! So Country Stars is now totally finished and I have given it to my brother-in-law as a thank you gift from our dog Kendall. Peter always looks after Kendall when we go away on holidays and as he lives in Boorowa, a really cold place, this seemed an appropriate gift. I have also spent most of Thursday washing quilts. A friend of mine is moving from a six bedroom house to a two bedroom villa and so needs to cull drastically. She has in the last few years made many quilts and as she is changing her style, from country to french provincial I will be selling many of her quilts for her in the near future. Unfortunately it rained most of Thursday so heaters have been going flat out all day.... almost finished drying. I suppose I could have waited for a sunny day but hey that is a bit forward thinking for me. Just received this email from a friend. If you see the pattern being sold could you please note the name of any contact person on the cover and let Liz or myself know. Thanks. ..You will find updates on my web site (that’s as soon as I manage to get information uploaded) and also a free pattern – “Bear Hugs”. You can use this pattern to make quilts, teach if you want to, but I would appreciate it if you respect me as a designer & do not on-sell this pattern. Oh also, if you want the free pattern keep checking back on her web site as it is being updated at present but things should be fixed soon. I have finally managed to upload my quilting website. I have been trying to organise this for ages and once I even managed to succeed but couldn't find it. This morning PJ helped out and viola her it is. I haven't yet worked out how to add comments to it though but that will come one day. I have been working on many projects lately but here is something that I have actually managed to finish... well I have finished all of the blocks in the quilt that is. 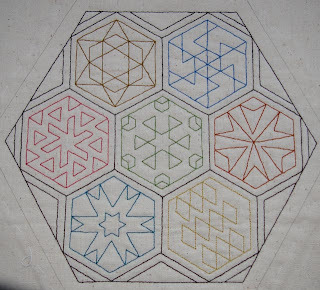 There are about 140 blocks and it is a QAYG project so it now only needs to be quilted, which will be quick on the machine and then joined together. 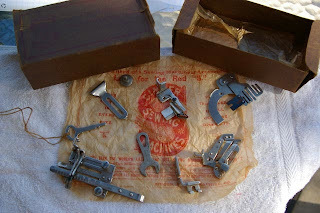 Hopefully after cleaning out Richard's room today I might have a chance to start the quilting.